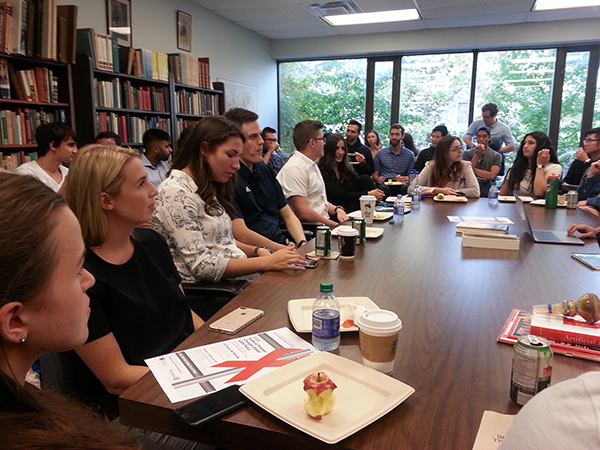 The Osler Society at Western facilitates exchange among medical students and faculty through their engagement with various themes in the history of medicine. 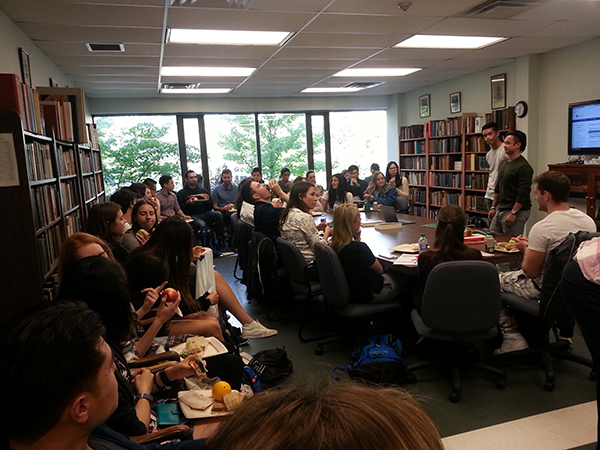 Facilitated by the Hannah Chair in the History of Medicine, this club is run by and for medical students and meets throughout the year. Nicole Lam, "Robbing Rights and Dignity After Death: The Illegal Dissections of African American Cadavers by Medical Schools in Late 18th Century America"
Sarah Cocco, "Lessons from Woodstock ’69: The Tumultuous History of Mass Gathering Medicine (MGM)"
Thursday, Feb 21, 2019 -- 12:30 p.m. to 1:20 p.m.
Dr Shelley McKellar, Hannah Chair, "Public Health Campaigns and Sexual Health: What's Changed? Dare to be Shocked!" LORSH 2022 executives, "Contraceptive Testing on Puerto Rican Women"
Pizza & Talk: Dr Maureen Lux, author of Separate Beds -- "Race, Medicine and the State: Indian Hospitals in Canada"
Friday, November 23, 2018, 12:00 to 1:00 p.m.
Tuesday, October 30, 2018, 12:30 to 1:30 p.m.
"How to escape Melodrama when you discuss Immoral Medical Research"
"Alternative Facts, Alternative Stories: Talking to Patients Who Don't Trust Science"
From climate change to nutritional science, more and more people question scientific consensus when they disagree with its findings. We'll try to understand the dynamics of this story by focusing on the rise of the modern anti-vaccine movement. Why has this movement become so powerful since the 1980s? To what extent is it different than the small pox anti-vaccination movement that peaked just over a century ago? Most importantly, we will look at how vaccine opponents make use of history, and discuss how we might respond. The Osler Society at Western is pleased to present Dr. Mindy Schwartz from the University of Chicago at this year's Welcome Meeting. Dr. Schwartz will give a talk "Leeches: Old Medicine is New" on September 12 at 12:30 p.m.
Light refreshments will be provided and all are welcome to attend. The meeting will be held in the History of Medicine office, Health Sciences Addition, Rm. 041.